In all lodging establishments, it is often the case that extras such as beverages or candy are immediately paid for by the guests in cash. Conversely, smaller supplier invoices have to paid in cash right away. 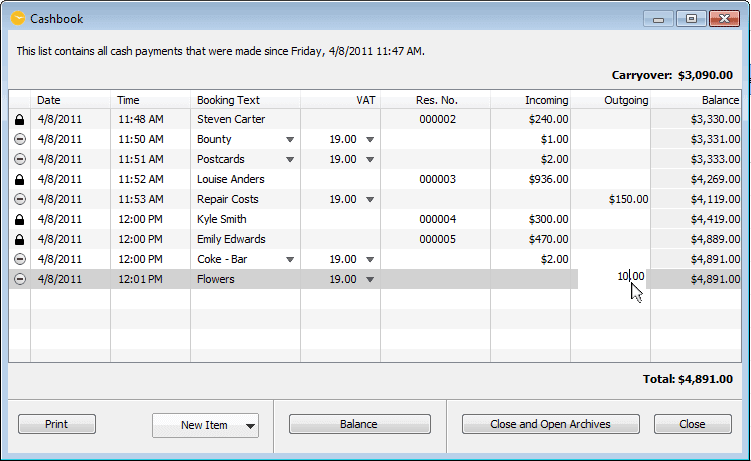 These cash operations can simply be entered into the cash book so that you may always keep track of the cash situation. 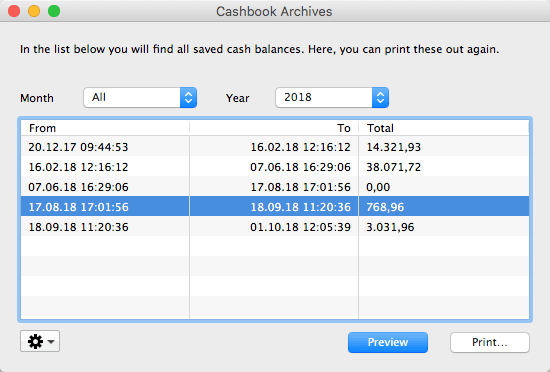 When cash accounts are closed, the report is tranferred to the cash book archive, where all reports are listed. The display may be limited to a single month and all reports can be printed out again.